A tunnel may be dug near a new roundabout on the A96 in a bid to reduce the road's badger death toll. Thirteen badgers have been killed on the route between Nairn and Inverness since January. Charity Scottish Badgers said talks had been held about giving the animals a safer way of crossing one section of the road. He said a tunnel at a roundabout built as part of a £4m road linking the A96 to Inverness Airport was an option. Two badgers have been killed on the Nairn side of the roundabout in the past month. 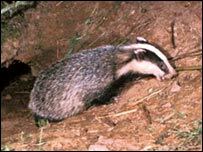 Ian Hutchison, Scottish Badgers development and education officer, said the charity was also in talks with Scottish Executive, Scottish Natural Heritage and Highland Council about assessing the potential impact on badgers from two other major developments planned for the area. One is a proposed new village of 5,000 homes between Nairn and Inverness and the other plans to dual carriageway the A96 between the Highland capital and airport. 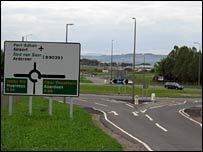 Mr Hutchison said: "We are in discussions with the Scottish Executive and Highland Council about a tunnel at the roundabout for that section of road." He added: "The executive is quite open to suggestions about helping badgers. "We are not expecting councils or the executive to start digging up existing roads. "Our purpose is to collect data to identify hot spots and, if there is remedial road work being done, to talk about helping the badgers." Mr Hutchison said badgers were frequently knocked down on the A96 where it passed Tornagrain, Gollanfield and Culloden. In the last five years, 154 animals have been killed on the Highland stretch of the road. Over the same period, 386 badgers have been killed across the whole of the Highlands.